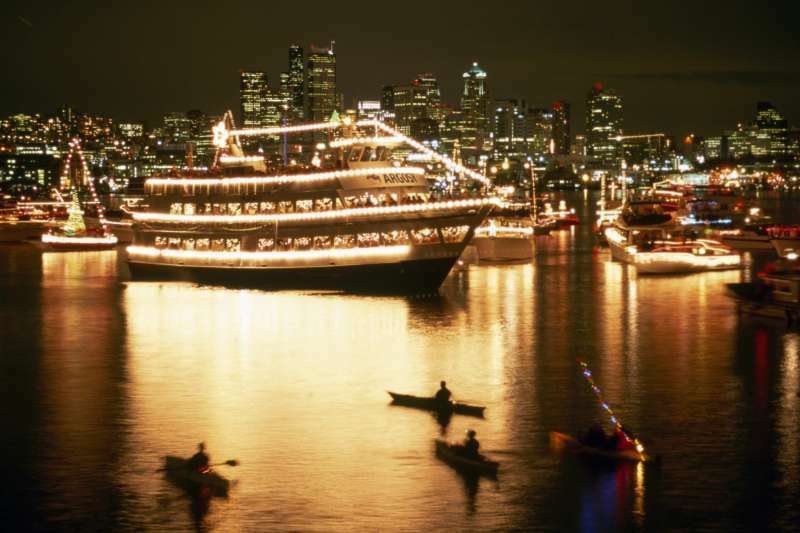 The Argosy Christmas Ship™ festival is a holiday celebration that has been a Northwest tradition for 61 years. Its main purpose is to bring communities together to celebrate the holiday season. From our flotilla of ships to the crowds of people who gather onshore, this celebration is one of the gems of the holiday season. 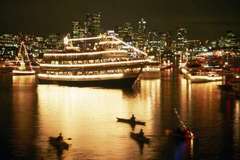 Each night, through December 23rd, 2010 the Argosy Christmas Ship™ sails to different Puget Sound waterfront communities, over 45 in total. Choirs onboard sing 20-minute performances to these communities, all broadcast via state-of-the-art speaker system. On shore, thousands of people gather around roaring bonfires anticipating the arrival of the Christmas Ship™. You can either join us on board the Christmas Ship™ or one of the Parade ships that follow, or join with friends and neighbors to gather together for your own caroling tradition. If you own your own boat, feel welcome to add lights to you vessel andjoin in the festival and help form the largest holiday floating parade in the world! In addition to good cheer, family, and friends, a portion of all ticket sales benefits The Seattle Times Fund For The Needy, an annual program that raises money for several charitable organizations in the Puget Sound area. Visit argosycruises.com for ticket information or give us a call at 623-1445. Full schedule and sailing times can be found on our website.